This is a unique Recorder masterclass for KS2 students who play the recorder. 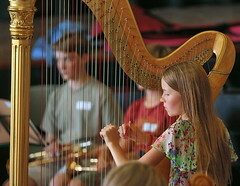 Led by Polly Bartlett, a finalist in this year’s BBC Young Musician of the Year. 26th July, 9.30 – 1pm, the cost of the half day session is £10 held at Poole Grammar School.